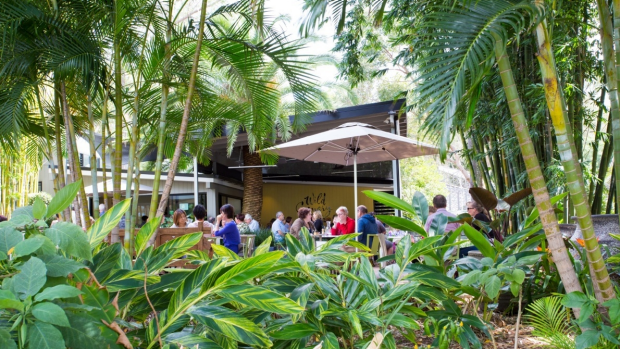 We're calling them cafes but these coffee-peddling establishments in Brisbane are much more than that. Some are testing grounds for wild ideas at an affordable price. Others are dipping their toes into dinner trade, pouring boutique wines and local beers to match. Coffee hasn't been forgotten. Expect it with tasting notes, a rainbow rosetta or dripped over ice. Seasonal eating has cemented itself. Chefs are using social enterprise Food Connect to source produce from growers, or working directly with farms and sending scraps back as fertiliser to close the loop. Even locals are invited to join – one cafe swaps excess garden harvest for jars of house-made jam. For the city's many apartment-dwellers, though, the best chance to connect with local food in this urban sandpit is over brunch. 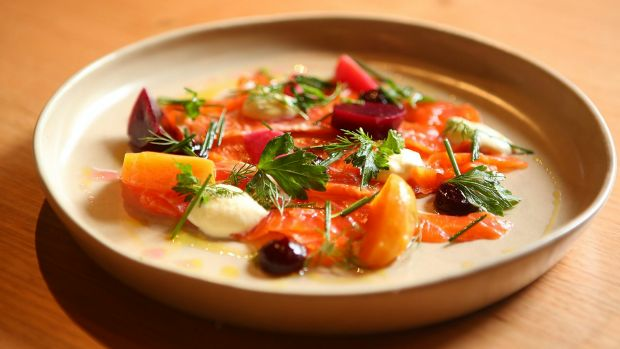 Here are Brisbane's top 10 cafes dishing up meals worth remembering and repeating. Chef Ben O'Donoghue's second Billykart Kitchen has certainly grown in the past 12 months. The lunch menu is a shorter, sophisticated riff on the newer dinner menu – with old favourites coming off the bench as specials. The provisions store next door now doubles as a bar. The smell hits you first: fresh herbs, steaming broths, sweet coffee and a distinct absence of eggs benny. This Annerley stalwart serves traditional Vietnamese fare all day, and twists Western breakfast classics such as corn fritters and big breakfasts to include pineapple chilli jam and house-made lemongrass pork sausages. A bowl of beef pho calls for a sweet Vietnamese iced coffee. House-made ferments, jams, pickles and preserves are the Pantry's secret weapon, providing bacon jam on a BLT, eggs on toast with carrot and apple relish, and banana chutney spread over bacon. The community is invited to bring excess produce from their own gardens in exchange for a jar off the shelf. Pop in to eat local and drink coffee by Supreme or kombucha. Opening for dinner on Fridays feels like a long overdue extension for this two-storey warehouse that never really wanted to sit in its breakfast cafe box. Sardines, fish tacos and okonomiyaki play surprisingly nice with well-executed brekkie classics on a evolving locally sourced menu. Stumble over a pooch outside to find a refuge from the fashionable James Street crowd. Bliss. 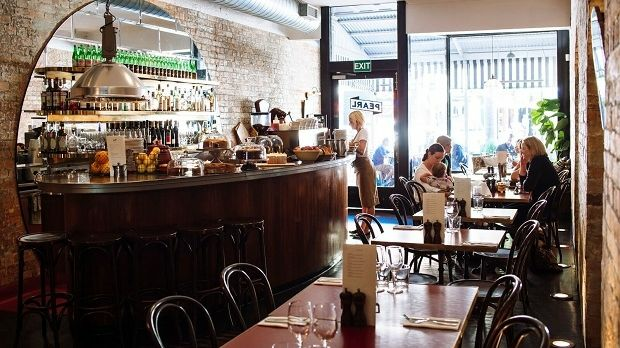 The whiff of strong espresso and an Edith Piaf-esque soundtrack trickling out of an old arcade is a hint at the CBD reprieve to be found in this Art Deco-styled cafe. Marchetti's short menu of humble Italian dishes can be exemplified with a bowl of heart-warming eggplant parmigiana – made with love and served with an accent. Walk out with an Allpress espresso and cannoli in hand. Chicken shawarma for breakfast? Yes, please. Formerly known as Shouk, the same spice-laden journey begins in the Queenslander cottage with epic treetop views from the back room. The latke stack is gone – instead you can use wedges of flatbread to scoop creamy hummus and spiced lamb mince. Shakshuka with merguez is for all time, too. There's a humble warmth to Pearl. A La Marzocco pours Allpress coffee at one end of a curved counter while the other is stacked with gorgeous home-style cakes. Walnut-coloured bistro chairs and brass-trimmed tables make for a European vibe. A fluffy ricotta pancake with mascarpone cream is as comforting as a bowl of pork and fennel meatballs in tomato and bean sugo. While switching from north to south of the river is akin to coming out as a Blues supporter for most Brisbanites, it's given a new life to this former CBD favourite. The delicious breakfast panino now shares a menu with more complex breakfast and dinner-worthy lunch options and the fitout is South Bank swish, pairing excellent coffee from Sydney's Mecca roasters with comfortable seating for the first time in Pourboy's history. The avocado is not smashed here. It's carefully sliced and artistically arranged on toast with smoked labna. Even the simplest dishes at Jerome Batton's original warehouse cafe are given a new level of detail. Thumb through the day's newspaper over a cup of Byron's Marvell Street coffee and house-made crumpets with local honey, before browsing aisles stocked with fresh supplies. This refined suburban restaurant masquerading as a cafe pays more than lip service to local produce. Executive chef Glen Barratt picks leaves, herbs and flowers daily, uses avocados from the adjoining suburb, and personally sources meat, camel milk and vegetables from the nearest farms. 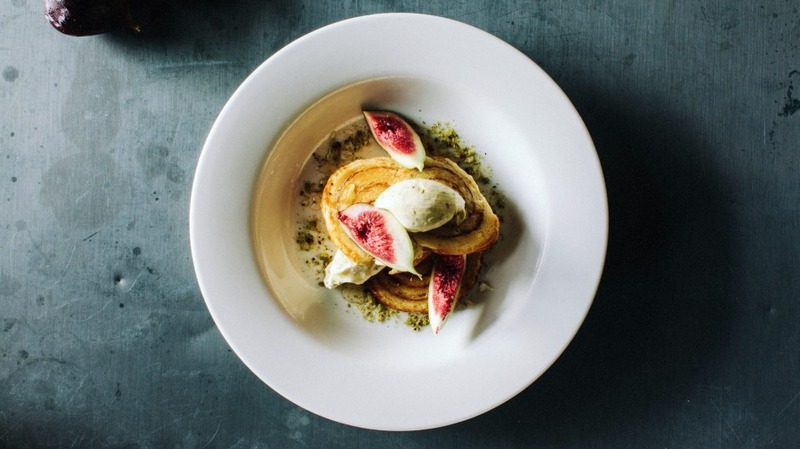 Plates burst with flavours and colours matching the cafe's lush, garden-centre home.